I’ll be turning 23 this year and in my lifetime so far I’ve been lucky to have traveled, studied, and made memories around different parts of my community and the world. But my latest journey to Hong Kong was the first time I’ve ever visited Asia and specifically the country where my parents emmigrated from in the 1970s. Between the hot and rainy months of June and July, four college friends and I embarked on a one-month trip to Hong Kong after finishing our undergraduate studies. For some of us, including myself, it was our first time visiting the country where our parents and those before them had once called home. A country in which I grew up imagining through the nostalgic stories told by my mom, dad, aunties, and grandparents, such as 10-cent movies, street food downstairs, cramped flats, or pouring water onto the floor and laying on it to cool down because there was no air conditioning. These were my recreated impressions – images similar to the black and white photos that fill yellowed-out albums in my grandparents’ home in San Francisco. As a first-generation ABC (American Born Chinese) visiting Hong Kong in 2010 it felt as if I was walking around San Francisco’s Chinatown except bigger, faster, and more developed – a true metropolis. Urban centers, such as Hong Kong Island’s Central District, Wan Chai, and Causeway Bay filled the landscape with tall columns of housing flats, businesses, and shopping centers. But with a Lonely-Planet guide book in hand, basic comprehension of Cantonese, and resourceful locals we befriended along the way we found ways to escape the rush of city centers and to make the most of our month long stay on a fresh out of college budget. On this page you can learn about fun things to do and places to see, transportation, communication, and budget travel tips.When you arrive, especially if you’re staying for a long duration, some of the first priorities are to 1) figure out lodging 2) take advantage of the public transportation and 3) find a way to communicate in country. Local SIM Card for your Cell Phone: If your personal cell phone uses a SIM card, call your cell phone provider before you embark to unlock your phone. Unlocking it means that it will enable you to purchase a SIM card at your travel destination (in which you will get a local number and airtime for calls and text messaging). Have your phone’s IMEI number ready before calling your phone provider. The IMEI number can be found on the back of your phone or under your phone’s “settings” in “phone information.” When you land you can purchase a Hong Kong SIM CARD at any 7-Eleven convenience store. There is a 7-Eleven located in the Hong Kong International Airport as well and you can find it as you exit. For $48 HKD (about $6 USD) I received a SIM card, a new Hong Kong phone number, and enough minutes/texts to last me a month. Having a cell phone makes it easier for you to reach your friends in country and to call local businesses if you have questions or need to book activities. Free Internet: Stop by any Pacific Coffee Company shop to use their free internet service to plan your day trips or contact family back home. You get 15 minutes or more of internet access if no one is waiting. They request that you purchase an item to eat or drink, but they do not enforce the rule. If you ride the MTR (subway), certain terminal stops also offer free internet kiosks. 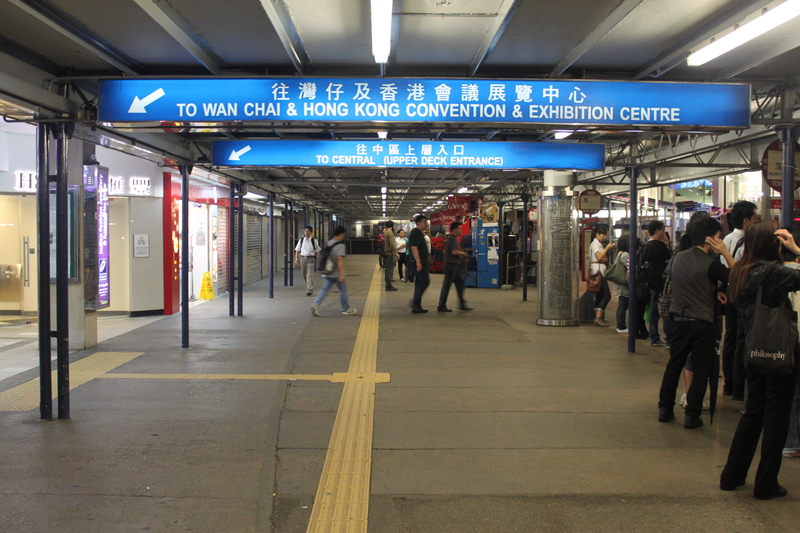 MTR stations with internet include, the Wan Chai MTR stop and the walkway in between Central and Hong Kong MTR Station stops. Mail: Stamps can be purchased at the local post office or in stamp machines around town, such as the one at the exit of the Sha Tin MTR stop. It costs $3 HKD to send a post card to the United States. Public mailboxes are green. Stop by the general post office in Hong Kong’s Central District to see the giant mosaic of the skyline of Hong Kong Island all made in stamps (a Guinness World Record display). Octopus Card: Purchasing an Octopus Card is recommended for all your public transportation and snacking needs. The Octopus Card is a refillable plastic card that gives you a small discount on public transportation in comparison to paying for single way tickets. It is also used to pay public parking meters and is accepted in many convenience and fast food restaurants such as Circle K, 7-Eleven, and McDonalds. 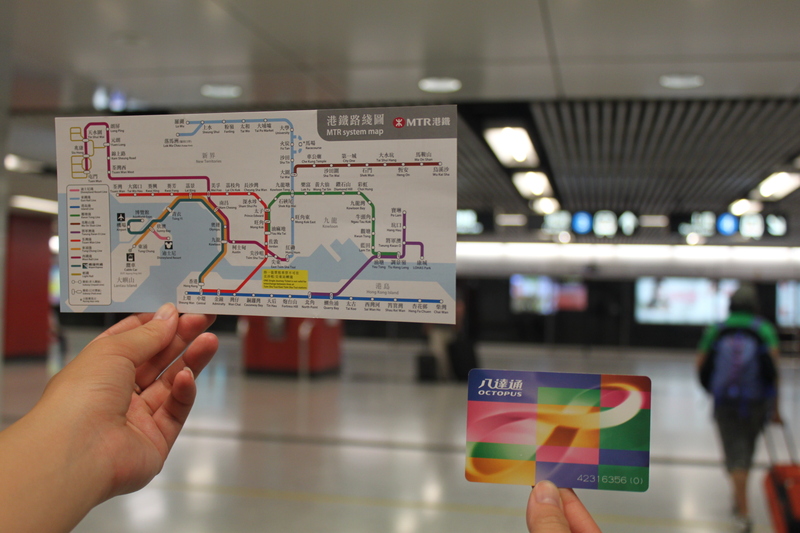 The cards can be refilled at MTR stations and at convenience stores at $50 HKD and $100 HKD intervals. When you first purchase your Octopus Card they will charge a $50 HKD deposit, which is used in case you are short on money and the deposit is refunded if you decide to return your card. Public Transportation: Public transportation is very efficient and cheap in Hong Kong. In addition it is very clean and organized despite the heavy foot traffic during rush hour. The MTR is HK’s light rail system that will take you to the main districts. If you want to see more of Hong Kong above ground and get to more remote destinations you should try the mini buses and the double-decker buses. Good bus numbers to take is provided under the “Places to See” section of this page. The air conditioning on public transit is also a plus on hot days. Star Ferry and Ferry Stations: Ride the classic means of getting across the Victoria Harbor. For about $3 HKD the Star Ferry will take you from the ferry stops to and from Hong Kong Island and Kowloon. Octopus cards are also accepted. From the Central Ferry Station in Central District you can also catch daily boat rides from the different piers to the outer-lying islands. Each pier will have a different destination. 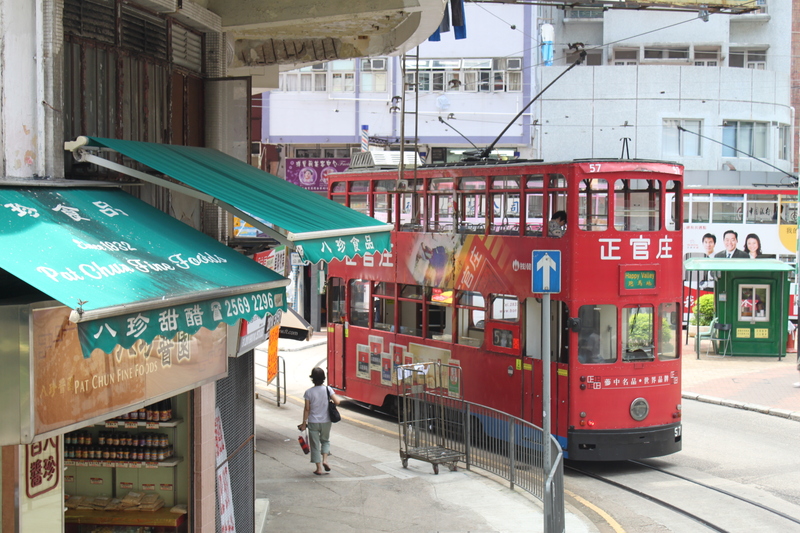 Hong Kong Island Vintage Trams: For a great tour of the northern part of Hong Kong Island take the double-decker tram from one end to the other. It only costs $2 HKD (about $0.25 USD) to ride it each time no matter how far you go. For budget lodging (not for those who are afraid of germs or those looking for luxury) I recommend hosteling. Even if you plan ahead you can still find a hostel when you land though there is no guarantee in quality – only that it is a place to sleep and wash. Hostels tend to have private rooms with an all-in-one bathroom meaning that you shower, use the toilet, and use the sink together in one small bathroom. If you’re visiting Cheung Chau I recommend staying at the B&B Hotel. It is a cute bed and breakfast (though not breakfast in bed) hotel near one of the main beaches. There is free cable TV and bike rental available for a fee. Booking in advance is needed and the staff are helpful and friendly. For good, quick, and cheap food I recommend that you eat at many of the cafes located in Hong Kong during the special tea hours. You’ll find set meals with a drink and lower prices on snacks. Don’t be afraid to ask for an English menu or to have the waiter translate the daily specials written in Chinese on the walls. Usually the daily specials give you the best meals and deals. Breakfast sets end around 11 am and afternoon specials begin around 2:30pm. 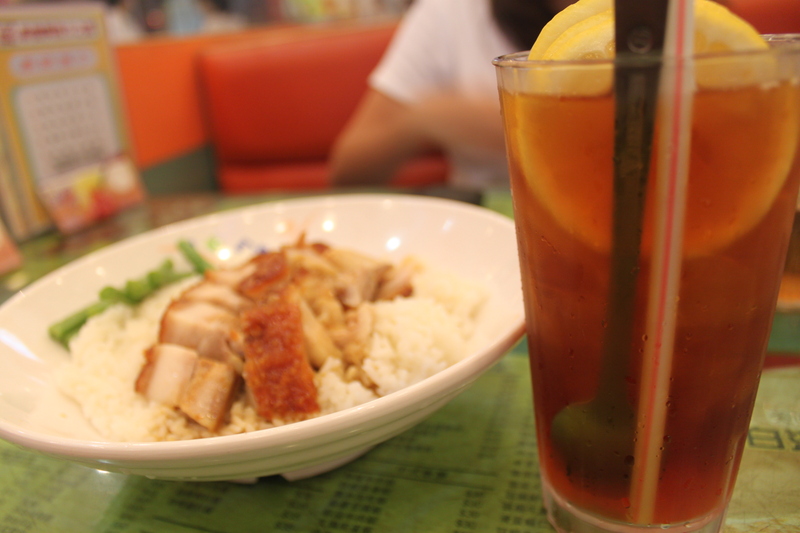 A sweet lemon iced tea (ling-cha) is a popular drink to have with your set meals. “[Cha-Chaan-Teng] is abtly named ‘tea cafe,’ because tea was provided the moment a patron sat down. After World War II, Western cuisine arose in Hong Kong, but was too expensive for locals to afford at the time. Due to high demand, a new blend of cultures emerged called cha-chaan-teng, which combined Western and Chinese cultures to accomodate the needs of everyone. 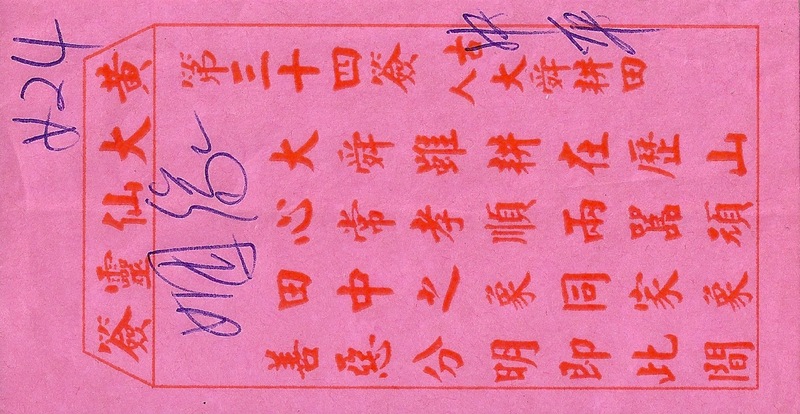 Today, cha-chaan-tengs became a distinct culture in itself, whether it’s the unique practice of sharing a table with strangers due to limited seating, or the shortening of words for speedy ordering, cha-chaan-teng has many aspects that people of any age can relate to and come to love.” – written on the back of a menu at a local Hong Kong style cafe in San Francisco called ABC. Try the street food. Near the street markets in Mong Kok you can find snacks, such as eggettes (gai daan jei) and coconut sago drinks for $6 HKD. Stop by the local bakeries in the morning for breakfast. You can get two baked items for about $8 HKD. Buy fresh fruits at the local outdoor markets rather than the packaged ones at the supermarkets. Stop at Café de Coral for quick and good Hong Kong style food. Light Show. Watch the free light show from the Kowloon Side. Every night at 8pm the skyline of Hong Kong Island lights up with music. If you’re coming from Hong Kong Island it is faster to take the Star Ferry from Wan Chai or Central District. If you do take the MTR get off at the Tsim Sha Tsui station and take exit F. You’ll appear outside the arts building. Make a left and walk towards the clock tower. The light show can be seen from the Avenue of the Stars Promenade as well. Sai Kung. To get away form the city take a day trip to the Sai Kung Peninsula where you can eat local seafood and participate in water activities. From the Sha Tin MTR stop take the 229 bus (double-decker) to the end of the stop in Sai Kung (fare $9 HKD one way). While in Sai Kung walk along the Promenade. People will try to get you to take a boat trip to the surrounding islands. You can bargain. For $200 HKD we got a private boat ride back and forth for the five of us. If you do rent a boat ask to visit Hap Mun Bay Beach, which is a public beach on one of the smaller local islands. Snorkeling. Take a day trip to the Hoi Ha Village (a marine preserve) by mini bus. You can rent snorkeling gear for $50 HKD and see the marine life and corals on the preserve. I’d advise you to bring water shoes or booties since those are not provided in the rental and it will prevent you from cutting your feet. You can get there by getting off at the Yau Ma Tei MTR exit A2 and take a mini bus from the Park’n Centre (ask for directions how to get there) all the way to the end stop at Sai Kung. From Sai Kung take the mini bus for $10 HKD all the way to the end at Hoi Ha Village. Be sure to have cash since some mini buses on this route do not take Octopus Cards. 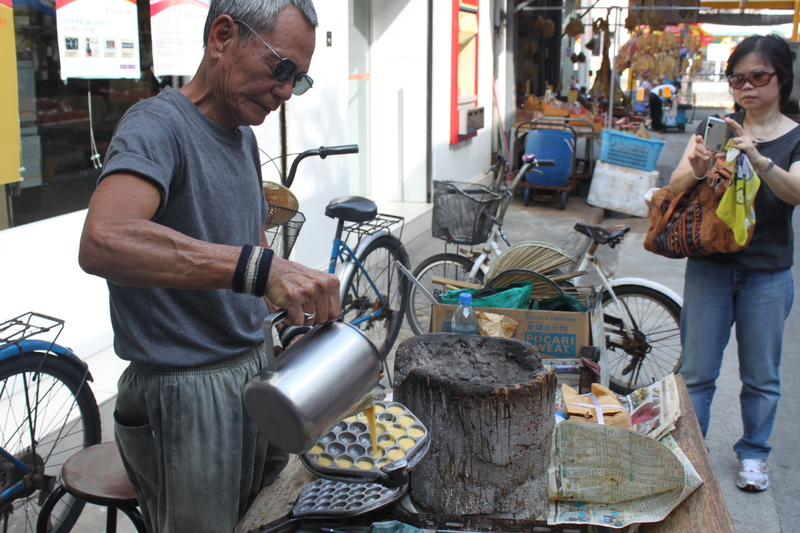 Also purchase some snacks in Sai Kung before going to Hoi Ha Village, because food is more expensive and scarce there. Biking. Rent bicycles at the exit of the Tai Wei MTR stop. You can ride on the bike path along the waterfront from Tai Wei to Tai Po and beyond. Rentals should be around $50 HKD per day. Along the way there are good resting benches, ice-cream vendors, and you might see people singing karaoke in the park. Bring water and start early if you want to take the entire path to both ends and back again. Bike rental shops close around 7:30pm. Basketball. Join the locals in a game of basketball at the public outdoor courts. Wan Chai has an excellent basketball court (4 full courts) right next to the Wan Chai MTR station. It’s a great way to get some exercise after eating your heart out in Hong Kong, and it is also a good way to meet new people across ages, ethnicities, and backgrounds. Temples. Visit one of the many temples scattered among the high rises. Check your guide book for temples. The Chin Lin Nunnery is my most favorite among the ones we saw. Its architecture is based on the style of the Tang Dynasty, which involves no nails in its structure. Admission to temples is free. Views. Go up to the 55th floor of the IFC 2 Building on Hong Kong Island to see a great view of the city from above and to learn more about Hong Kong’s monetary history. Check in advance for hours of operation. Also visit Victoria Peak for a skyline view of the Victoria Harbor. Movies. On Tuesdays movies are only $40 HKD for any movie at anytime. The neat thing about all the movie theaters is that you choose your seat in advance when you buy your ticket. Lantau Island. Visit the fishing village of Tai O on Lantau Island. The 11 bus takes you between the MTR stop at Tung Chung and Tai O (fare $11.80 HKD one way). If you visit the Giant Bronze Buddha at Ngong Ping you can take the 21 Lantau Line bus to Tai O ($6.60 HKD one way). Tai O is one of the places to view pink dolphins as well. For no booking in advance and $20 HKD you can take a 20-minute boat ride around the village’s stilt houses and out to the ocean where you can view the dolphins. Also in Tai O stop by the town’s free cultural exhibit (located right when you enter the pathway leading to the foot bridge) as well where they have historic artifacts. Free Museums. Free museum days are every Wednesday. The Hong Kong History Museum is a must see. It has excellent exhibits, short films, and history from the geological formation of the islands up till current times. The great thing about the free museum days is that there are still no lines. You can spend the whole day at the history museum if you read every single placard. Cheung Chau. Cheung Chau is a great little island to visit near Lantau. You can get there on the ferry from the piers in the Central District. The town is also known for it’s annual Bun Festival held in May. The island has cheap and good seafood. You’ll find no cars on this island as well. Most people get around by bicycle. A ride on the ordinary (slower ferry) costs $11.60 HKD. Repulse and Stanley Bay. Visit the waterfronts on the southern side of Hong Kong Island. Bus 6, 6x, and 260 go from the bottom of Exchange Square 1 and 2 terminal in Central District to Repulse Bay and Stanley (fare $10.80 HKD). 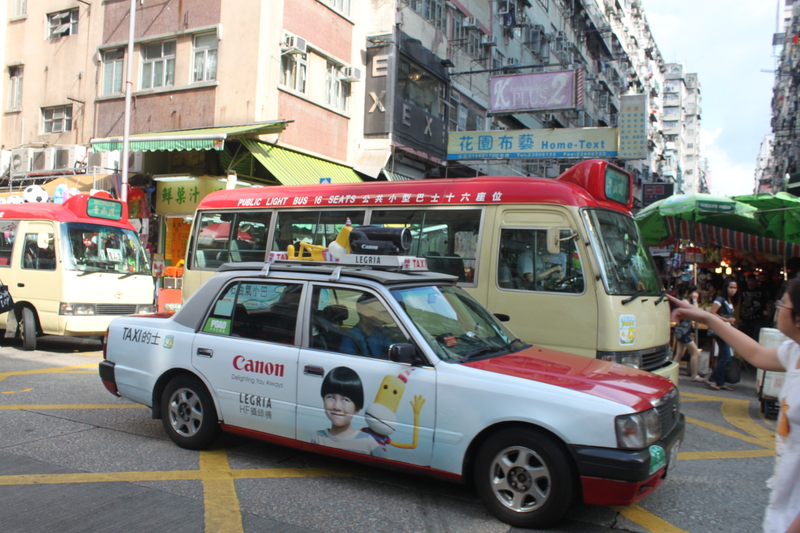 Bus 973 takes you from the Stanley Market stop to Tsim Tsa Tsui and Jordan on the Kowloon Side (fare $13.60 HKD). Although the bus returning to Kowloon is a little slow due to hills you can get good views of the coastline around Repulse Bay. Be sure to pack an umbrella. It’s good for the typhoon season as well as to shade yourself from the sun. If you do buy one, do not buy a cheap one (i.e. under $20 HKD). This is from experience. Invest in an umbrella that’s sturdy. Have insect repellent handy for the mosquitoes outside of the cities in the more green and vegetated areas. I’d advise visitors to pack or buy anti-itch cream as well at local pharmacies. If your staying out late at night in the Central District. Take the N90 night bus service from the Central District to Wan Chai. It runs along Des Voeux Road (along the tram line) in the Central District of town. If you’re looking for travel trips from Hong Kong to another destination a good place to go is at the intersection of Patterson and Hennessy Street in Causeway Bay. The 6th and 7th floors are dedicated to only travel agencies. However, avoid delaying and buying travel packages in the summer season since all packages go up around $800 HKD. Nightlife. If you’re a lady you’re in luck. Ladies’ nights are often Thursdays with free entry and drink for the gals between 10pm and 12am. Check out Sugar one of the clubs near Lan Kwai Fong. Often the really good bars in Hong Kong are not on street level. You’ll have to go up a few floors to find lounges. There are all you can drink deals for about $200 HKD per person. “Knife” By Grizzly Bear, Album: Yellow House, Released: 2006. “Na Le Shi Wu Jia” By Sam Hui, Album: Summer Hit 79’, Released: 1999. “Hayling” By FC Kahuna, Album: City Rockers, Released: 2003. “Heartbeats” By The Knife, Album: Deep Cuts, Released: 2006.